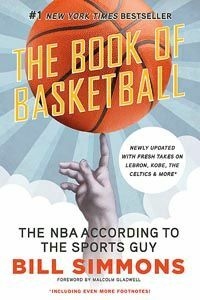 Editor’s note: The following is excerpted from “The Book of Basketball: The NBA According to the Sports Guy,” by Bill Simmons. Copyright (c) 2009 by Bill Simmons. Reprinted by arrangement with ESPN Books, an imprint of ESPN Inc., New York, and Ballantine Books, an imprint of The Random House Publishing Group, a division of Random House Inc. All rights reserved. You can order the paperback from Random House, Amazon.com, Barnesandnoble.com, Borders or other retailers. What if Portland had taken Kevin Durant over Greg Oden? looked and walked like a thirty-six-year-old man. for a sure thing, you sure were doing a lot of hoping. How was that any different than the Bowie/Jordan dilemma 23 years earlier? When Durant became the youngest scoring champ ever and placed second in the 2010 MVP balloting — as Oden recovered from his second season-ending knee injury, no less — Portland’s decision barreled into the “What If” chapter six years earlier than expected. So what if the Blazers picked Durant instead of Oden? They become the fledgling Western Conference juggernaut of the 2010s (not Oklahoma City); Portland becomes a legitimate 2010 destination for LeBron; any successfully unconventional decision would be called “a Pritchard”; and everyone in Portland would be so perpetually happy that it would never rain there again. Instead, we have to start bracing for the 2029 or 2030 Draft, when Portland wins another lottery and finds itself stressing between Sure Thing Potential Superstar Scorer X over Possibly Fragile Franchise Center X as everyone else wonders, “Wait a second, we’re doing this again?” One of these generations, the Blazers will get it right. Wednesday, Dec. 8: Washington, D.C.